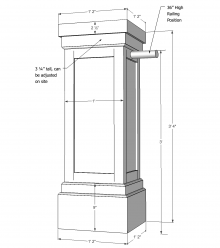 Elite Trimworks offers an extensive line of PEDESTALS pre-sized or custom made exterior PVC column wraps. 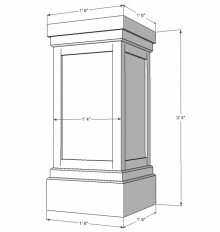 These pedestals are non-load-bearing and are made to wrap around any fiberglass or PVC column that you like. We can even make them to wrap around two or more columns. Choose from one of our standard sizes or have it custom made any size you like. 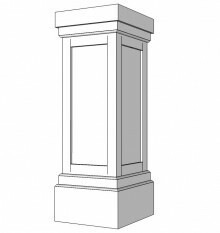 We offer the pedestals with either a shaker panel, recessed panel, raised panel or an applied trim version, the only hard part is choosing. 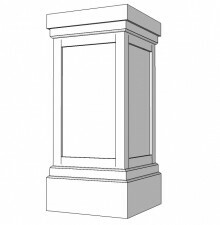 Finding the right column to fit the specific architectural order or style that you are looking for has never been easier.